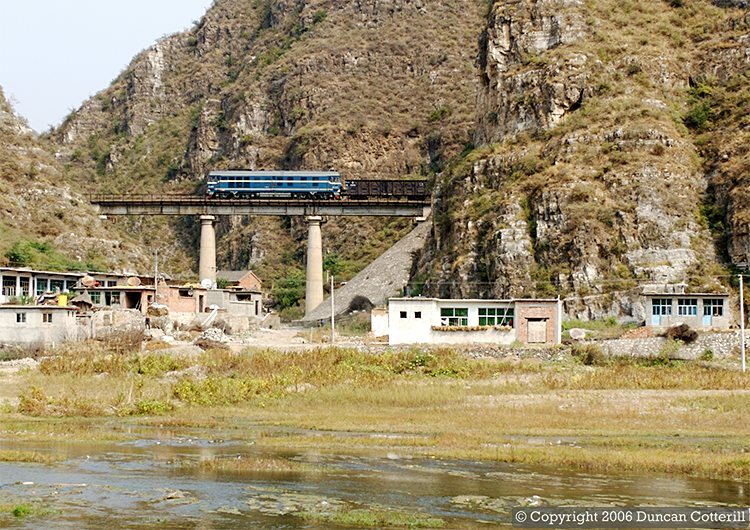 An unidentified DF4C, in the less common all-over blue livery, crossed a bridge above a small hamlet west of Gugezhuang on 30 September 2006. Brief glimpses of the railway are all that can be seen for much of the length of the Juma Valley. Fortunately many are photogenic enough to warrant a picture.